ARGFest-o-Con is a yearly conference that provides the opportunity for fans and creators of alternate reality games and transmedia experiences to gather together and reflect on the genre’s evolution. This year, the roving conference will touch down in Seattle between Thursday July 25th and Saturday July 27th for a long weekend of panels, puzzles, and games. This year’s list of speakers are a diverse crew. IARPA will be discussing their exploration of whether alternate reality games can be used for behavioral research. At the same conference, Groundspeak co-founder Jeremy Irish will discuss the growth and evolution of the geocaching community, puzzlemaker Mike Selinker will discuss the art of puzzlecraft, Haley Moore will talk about injecting tangible objects into stories, and Ken Morris will introduce attendees to the wonders of glitch art. Past ARGFest Keynote speakers Jordan Weisman and JC Hutchins will be returning, along with the team behind TVTropes.org’s alternate reality game The Wall Will Fall, and indie game developers at Silverstring Media and Lazy 8 Studios. This year’s keynote speaker is ARGNet and No Mimes Media founder Steve Peters, who will be reflecting on the ups and downs of a career that spanned some of the biggest companies in the industry. Three ARGFest traditions will also be returning for 2013. Synth-Bio Productions will be producing the first of those traditions, FestQuest. Every year, ARGFest attendees team up to explore ARGFest’s host city in a real-world puzzle trail. The puzzle trail gives attendees a fun and lighthearted way of putting some practical experience behind the conference’s often theoretical talks. For the second ARGFest tradition, ARGNet’s previous owner and senior editor Jonathan Waite will be stepping into the role of Grand Inquisitor, responsible for facilitating conference discussions with a twist. Finally, ARGFest Seattle will see a return of the ARG Museum, a collection of artifacts from past games. 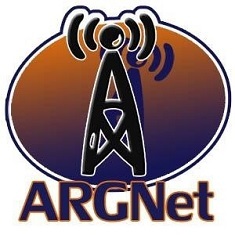 Regular registration rates for ARGFest are available through July 19th, priced at $90 for a conference pass and $150 for an all-access pass that also includes the kick-off party and keynote address. Head over to the ARGFest-o-Con 2013 website for more information.